Haridwar or Rishikesh: Which is Best to Visit? Is Haridwar or Rishikesh Best for You? Haridwar or Rishikesh? This is the question many people ask when they don't have time to visit both places. These two holy towns are located less than an hour from each other in Uttarakhand. Yet, they're very different in nature and offer unique spiritual experiences. Let's take a look them. Haridwar is one of seven holiest religious pilgrimage places in India for Hindus, known as Sapta Puri. (The others are Varanasi (Kashi) in Uttar Pradesh, Kanchipuram in Tamil Nadu, Ayodhya in Uttar Pradesh, Ujjain in Madhya Pradesh, Mathura in Uttar Pradesh, and Dwarka in Gujarat). What's so special about these places? Hindu gods have incarnated there in various avatars or the places are believed to have natural spiritual powers. Visiting them all in a lifetime is thought to provide release from the endless cycle of birth and death. Thus, pilgrims attain moksha or liberation. Understandably, this makes Haridwar very popular with Hindus who come to bathe in the holy water of the Ganges River, cleanse their sins, and visit temples. The Mansa Devi temple, which sits high on a hill in Haridwar, attracts hordes of pilgrims as the goddess is believed to grant the wishes of those who visit her. The Ganga Aarti at Hari-ki-Pauri ghat, held every evening, is also worth experiencing. It's incredibly powerful and awe-inspiring. Situated a little further up the Ganges River than Haridwar, Rishikesh is considered to be the birthplace of yoga in India. It's renowned for its many ashrams. A Ganga Aarti is also held every evening in Rishikesh, at Parmarth Nitekan ashram, the prominent ashram there. Adventure activities, such as river rafting, are popular as well. You'll also find a number of Hindu temples in Rishikesh. The feel of the Ganges River is more natural in Rishikesh, where it flows freely. This is in contrast to Haridwar, where it's directed through a series of man-made channels. 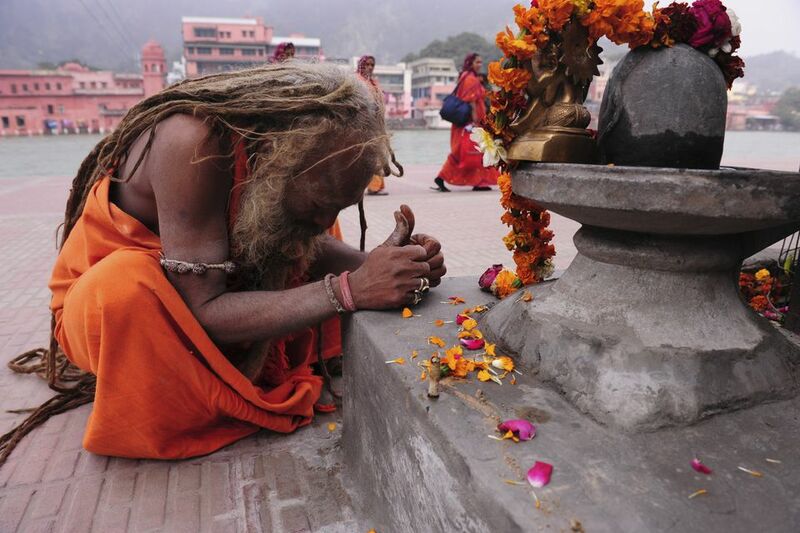 If you're a Hindu spiritual seeker, you'll find Haridwar to be the best place to visit. Why is this? Apart from its spiritual significance, the facilities at Haridwar cater mostly to Indians. There are plenty of snack stalls and cheap restaurants selling a variety of Indian food -- just the kind of thing Indians love! There's not a lot to do in Haridwar apart from visit temples, take a dip in the Ganges, and experience the aarti. If you're a western spiritual seeker, you should head to Rishikesh. Plenty of foreigners go there to study yoga and it has much more of an international feel than Haridwar -- there are chilled out cafes serving western food, inexpensive guesthouses and backpacker hostels full of travelers, book stores, clothes stores, healing centers (such as Reiki and Ayurveda), and of course yoga and meditation. If you're not a spiritual seeker and just want to have a peaceful holiday, definitely choose Rishikesh. It's much more laid-back and less crowded than rather chaotic Haridwar. It's possible to get out and enjoy the great outdoors there too. Otherwise, head to Haridwar to have your eyes opened! However, for two very different experiences, it's highly recommended that you visit both! Many people base themselves in Rishikesh and explore Haridwar on day trips. Note: If a strict vegetarian diet and no alcohol isn't something you can deal with, you might not enjoy either place. Meat, including eggs, and alcohol are scarce in Rishikesh and Haridwar due to the holy nature of both places. In Haridwar, ideally stay at a hotel along the Ganges River to really soak up the atmosphere. The accommodations in Rishikesh are spread out over a number of areas, so you'll need to consider which one suits you best. Which Ashrams Should You Visit in Rishikesh for Yoga and Meditation?